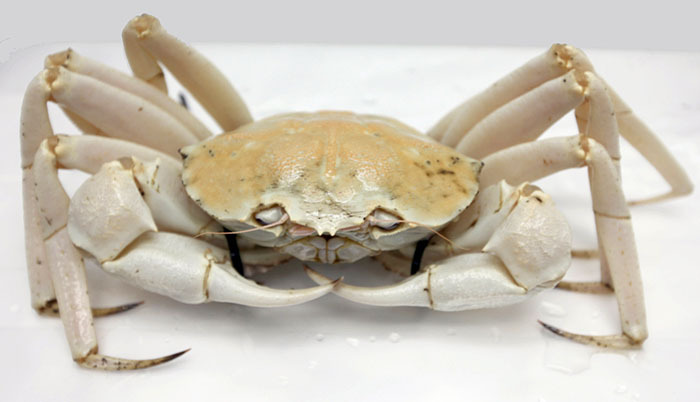 Crystal Crab has a firm textured, succulent white flesh with a distinctive sweet taste. 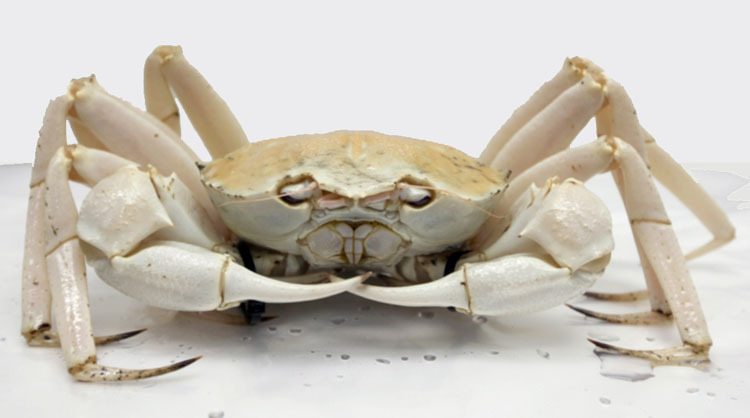 In fact the Australian crystal crab is considered the best tasting crab of all crab species around the world. Crystal crab is very adaptable for many western and eastern cuisine presentations. Crystal crabs are processed to exacting standards without the use of chemicals. We process to Australian (AQIS) and US (FDA/HACCP) and EU processing requirements. Caught wild in Western Australia’s unpolluted pristine deep waters with crabbing pots. The crabs are held in on board fishing boat tanks until they are graded and held in our tanks maintaining their intact appearance. The meat recovery is around 50% mainly in the legs and claws. The survival ability of the crystal crab is very high allowing them to be exported all over the world. The industry is well regulated to ensure the sustainability of the Australian crystal crab species. The crab is caught all year round so continuity of supply is guaranteed. Southern Trading has been in business for over 15 years supplying quality Australian seafood throughout the world to meet the discerning requirements of the 5 star food service sector. We pride our reputation on delivering quality product and service to our customers.